Babies born between 37-42 weeks of pregnancy are considered full-term. 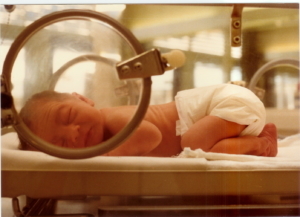 Babies born before 37 weeks are considered premature. In most cases of premature birth, labour starts naturally and the signs will often be similar to that of labour that starts at full term. If labour start prematurely, there may be things your doctor can do to stop or slow down the progression of labour. If your baby is likely to be born early, you will be admitted to a hospital with specialist facilities for premature babies, known as a neonatal unit. Babies born before 34 weeks of pregnancy may need help breathing, feeding and keeping warm and will most likely be admitted to a hospital with a Neonatal Intensive Care Unit (NICU). Your premature baby will need you to advocate for them while they are in the NICU and you will need to work closely with the medical staff to best take care of your baby.